Two recombinant Aeropyrum pernix glutamate dehydrogenase (GDH) enzymes with different length N-termini were cloned and expressed in Escherichia coli: sGDH begins with the amino acid sequence of the extracted native enzyme (M-Q-P-T-D-P-L-E-E), whereas lGDH begins with the sequence of the predicted ORF (M-E-V-L-A-L-Q-P-T-D) and is longer than sGDH by five amino acids (M-E-V-L-A). 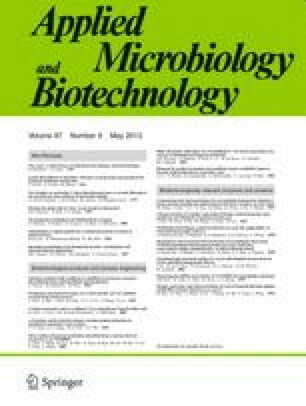 Purified recombinant lGDH was more stable than sGDH, indicating that the N-terminal extension, containing mostly hydrophobic residues, affected the overall stability of recombinant lGDH. This stabilising effect of extending the N-terminal sequence on an oligomeric enzyme such as GDH is novel; factors affecting stabilisation have previously only been discussed in the context of the contribution of internal amino acids.